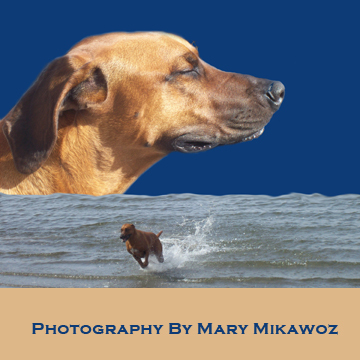 This includes two photographs of a Rhodesian Ridgeback or the African lion hound. In one, he is sunning himself, gazing into the sun and in the other; he is galloping and frolicking in the ocean. I feel as if he is dreaming of playing in the waters. To view a bigger size, click here.